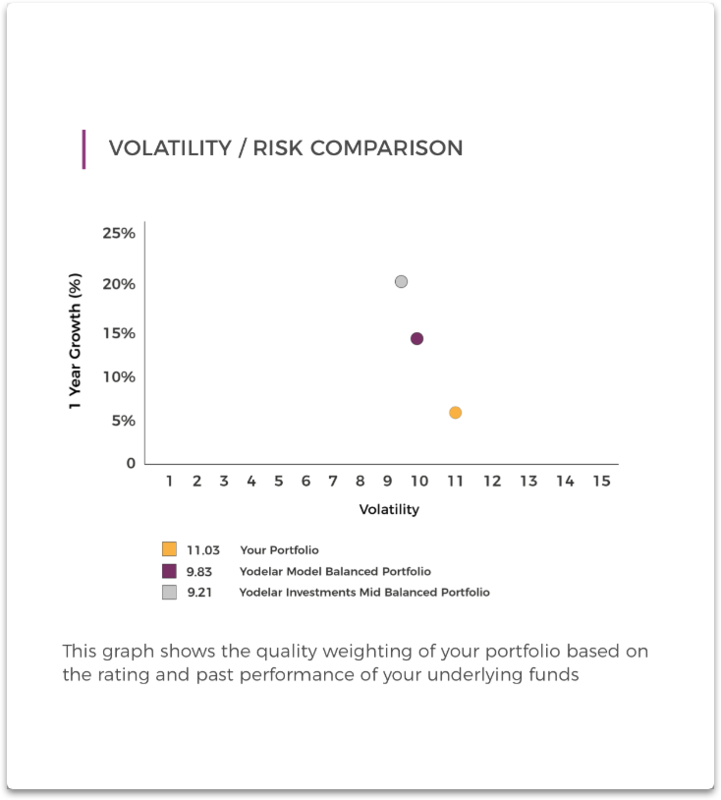 Each month Yodelar will create an updated analysis on your portfolio of funds so you can keep track of your portfolio's performance and easily identify any potential areas for improvement. “Yodelar provide the most transparent investment report I have come across as a long term investor” Mr Freeman. 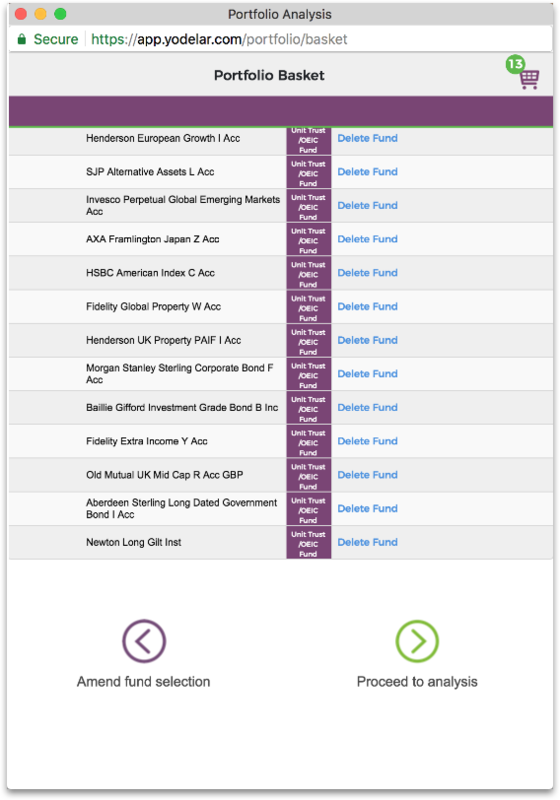 We analyse over 70,000 investment funds every month and compare each against all other same sector funds. We will rate each fund you are invested in between 1 and 5 stars based on performance criteria. To see the value in Yodelar we offer each user a free initial portfolio analysis without any obligation to subscribe. Get started today & upload your portfolio for free. Upload a spreadsheet, or statement, of your funds, and choose from one of 6 risk profiles ranging from Very Defensive to Aggressive. Our research team will then generate a bespoke analysis of your investment funds and portfolio as a whole. 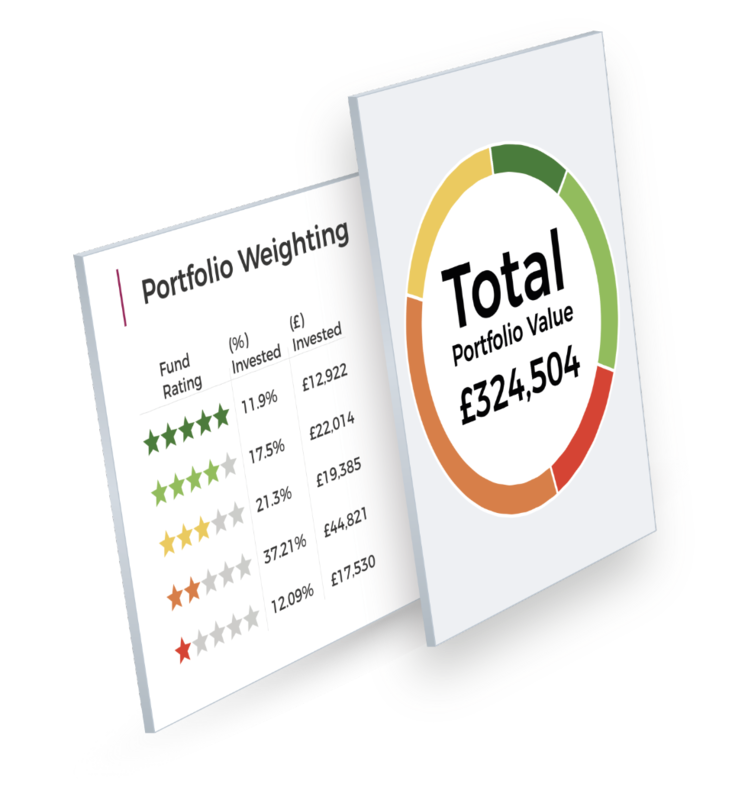 You will receive an up to date analysis each month so you can continually monitor the performance of your funds and overall portfolio, making it easy to identify any potential areas for improvement. We analyse over 70,000 investment funds every month and compare their performance against all other same sector funds. 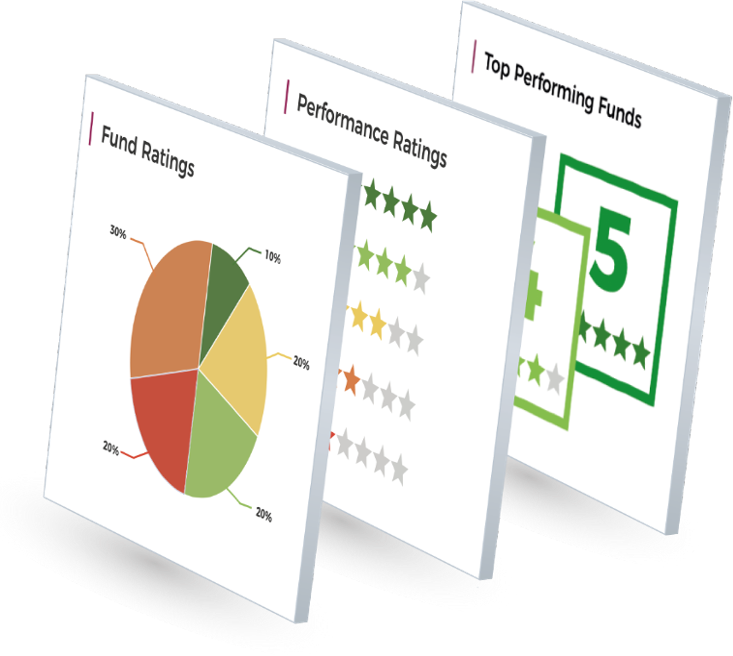 We will rate each fund you are invested in between 1 and 5 stars based on performance criteria. 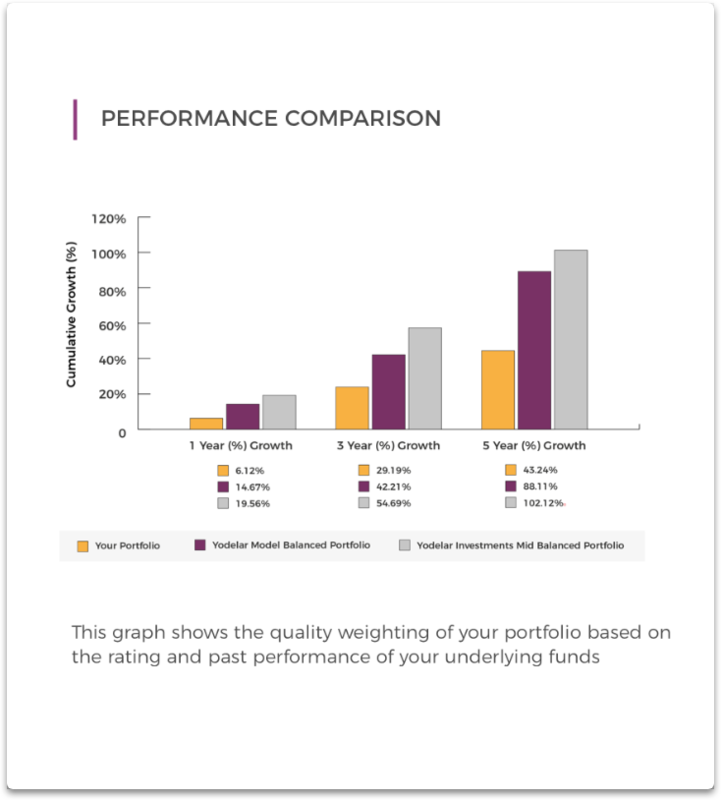 Your analysis will directly compare the performance of your portfolio against the performance of a similar portfolio containing funds that have consistently maintained a top 25% position in their chosen sector. This will allow you to see how effective your portfolio has performed in real terms. Many investors do not regularly rebalance their portfolio, which can result in investors taking excess risk. Our analysis will identify the risk/volatility of your portfolio and compare that to a top performing portfolio suitable to your chosen risk profile. Our algorithm will rank your portfolio based on performance, consistency, and volatility. Your portfolio will receive a grade between ‘A' which demonstrates an extremely efficient portfolio, and ‘E' which demonstrates widespread underperformance and the potential for significant improvement.